SOS! SF needs Safe Organized Spaces. There are 1,000+ people sleeping on San Francisco's sidewalks and streets each night. Each of these individuals need a safe organized space to belong in community on their path to healing and stable housing while City leadership expands our supply of affordable housing, rent subsidies, and low-barrier shelter. 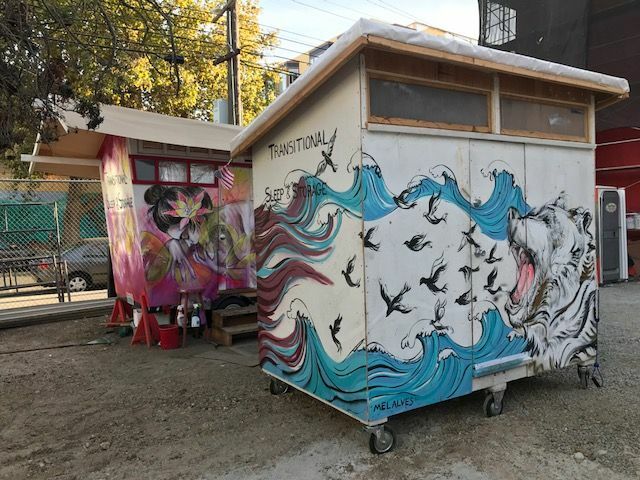 Safe Organized Spaces utilize single, double, or multi occupancy emergency shelter cabins (or insulated tents on platforms) that meet state building codes and provide essential services, gathering spaces, on-site support staff, participatory management structure and support, pathways to stable housing and jobs, and a community-integration team in the least restrictive, most autonomous environment possible. The SOS framework has been developed/piloted in San Francisco with multi-stakeholder participation and input from current/former encampment residents by Saint Francis Homelessness Challenge. Supported by Lava Mae, Downtown Streets Team, Mission Housing Development Corporation, Impact Hub SF, SF Community Clinic Consortium, Mission Creek Merchants Association, Asian Neighborhood Design, Dykes with Drills, and more. Learn more at www.SaintFrancisChallenge.org/sos. 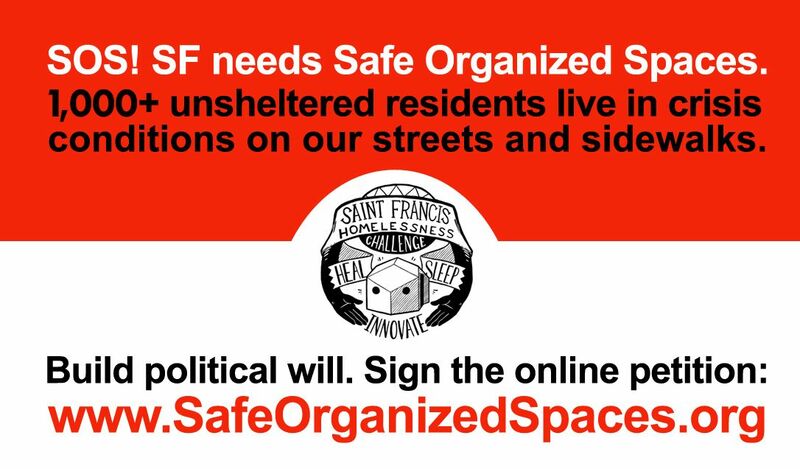 "I support Safe Organized Spaces to end crisis conditions for San Francisco’s unsheltered residents." Please type your City here if you don't live in San Francisco. * 4. How did you hear about this petition? I own property that could potentially be used for a SOS Transitional Village of 5+ residents in transition. Please follow up with me to deliver a presentation on SOS to my organization/business/association. I am currently registered to vote in San Francisco. * 6. Add an optional personalized message to emphasize why San Francisco needs Safe Organized Spaces as alternatives to encampments. Thank you for joining the following organizations and individuals in signing the SOS Petition. (*affiliation listed for identification purposes only).